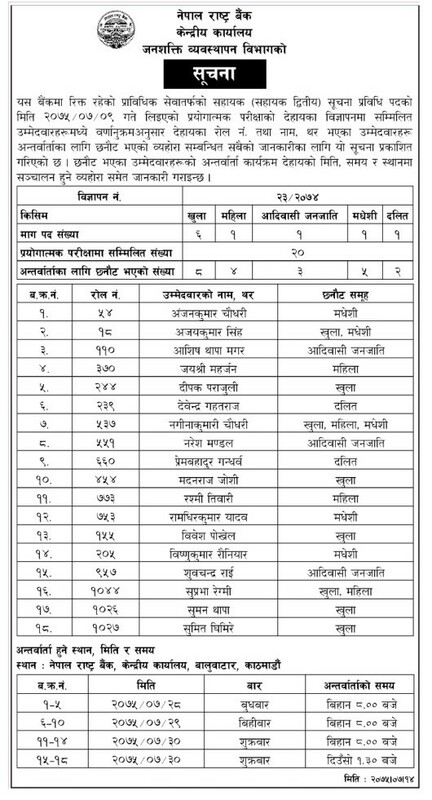 Nepal Rastra Bank, Human Resource Department has published the result of the practical examination for the position of Assistant (IT) in both open and inclusive category. Name of following candidates as mentioned in the official notice below have been selected from the practical examination for the interview. The practical examination was conducted on Kartik 9, 2075.